A Government zoo inspector says laws over which wild animals people can keep must be changed to deal with a rise in exotic pets being touted online. 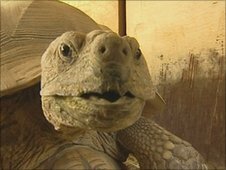 Matt Brash says there is a worrying rise in exotic animals being kept in inappropriate conditions, including Meerkats, Marmoset Monkeys, Poison Dart Frogs and some large tortoises. The inspector, from Pocklington in East Yorkshire, is also the resident vet at Flamingo Land Zoo. "Keeping these things like Meerkats at home would just be like stamp collecting. It would be having something so that you could show your neighbours, something to look at over dinner. "There is a big problem out there. There are an awful lot of exotics in the country. A lot of them are not being kept properly." BBC Look North discovered just how easy it is to buy an exotic pet online. Within 30 minutes research, we found marmoset monkeys for sale in Hull for £800. This easy availability has lead to RSPCA inspectors in Lincolnshire carrying out more rescues of late. 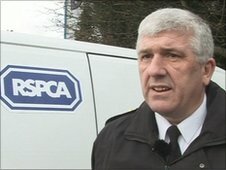 Malcolm Horsman is an RSPCA Chief Inspector. "Unfortunately when we are called to a property, we are finding reptiles that are dead," says Malcolm. "It is extremely upsetting because the people didn't know how to look after them." "What really needs to be looked at is possibly a new Act, to look at the control of these exotic species, as to whether it is even appropriate to have some of these weird and wonderful exotics at all." Experts warn keeping the wild and wonderful happy can take years of experience - so novices should think twice.